Keeping your home safe is something that we all know is important. With break-ins occurring every 13 seconds, you may leave yourself open to being robbed, or worse being home when an intruder breaks in. 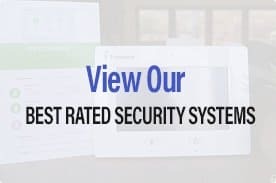 If you are looking for a simple way to upgrade or add a new home security system, the Piper nv is a great place to get started. With the Piper nv security bundle, you will not only get the Piper nv security camera, you will also get two sensors for your windows or door. If you are wondering how a camera is going to know when someone opens your door, worry not. Piper nv isn’t just a smart home security camera, it’s also an all in one security bundle. In addition to being a camera, the nv is also a home security hub with is pretty nifty. If DIY scares you, the Piper nv will be your very best friend. It is plug and play, which means no complicated connections, it’s just easy peasy. It can operate on a wireless connection, so you don’t even need to connect it to a router. Which means you can have a pretty decent home security system up and running in a few minutes. If you live in an apartment or rental home where you cannot attach things to the walls, the Piper nv is a great option. You can easily take it with you when you move and it doesn’t take up too much space. By making nice with the Z-Wave home automation Piper nv can connect with other smart devices like smart plugs, smart door locks, and doorbells. These connections allow you to integrate your Piper nv into a larger home security solution. 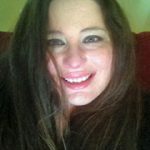 They also make it easy for you to review stored security camera records by keeping your footage stored in the cloud, which allows you to view it at any time. 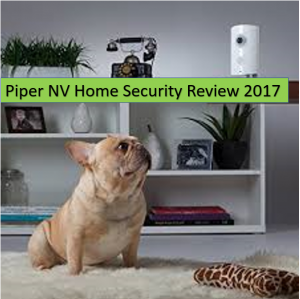 While Piper nv can connect with other devices, it is not a complete home security system in an of itself. 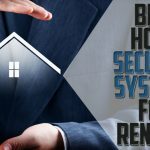 It can be a valuable part of a larger solution, but on its own, it lacks some of the benefits you would expect from a home security system, like a professional monitoring option. But that doesn’t mean your Piper nv isn’t without its charms, it employs both motion and sound detection to check for abnormalities, and should it find something it will alert you on your phone. It is also a formidable weather tracker, it can tell you the temperature, both indoors and outdoors, and the humidity level. Connect Z-Wave devices to the hub and you can manage your lights, smart switches, and any other compatible devices. When it comes to the camera you have several options, Settings, Events and Recording. Settings allow you to manage your camera, you can enable or disable the siren, set the temperature to Celsius or Fahrenheit, and activate the Pet at Home features. The Pet at Home feature lets you adjust the motion sensitivity to keep your dog or cat from triggering an alarm. You can also set up contacts in Settings using the Trusted Circle option, this will allow you to choose who receives alerts should an alarm be triggered. On the Events and Recording pages, you can see a list of all of the events and recordings that have triggered the camera. You can see the time and date of each recording. You can access 35-second recorded video that is stored in the Piper Cloud. You will be able to store up to 1,000 clips in the cloud for free, once you exceed 1,000 the Piper cloud will start to overwrite them with new recordings. You can find tabs to add Z-Wave devices, set security rules and view live video near the bottom of the dashboard. 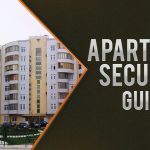 Using rules you can set standards for each security mode, you can have the alarm sound when motion is detected or when the temperature exceeds a set parameter. If you want to set the camera to record video, or you want to create alerts or push notifications you can select them using the Options menu. You can set alerts and notifications to be sent by text, phone or email. If you are connecting Z-Wave devices the Control page will allow you to set up rules, you can create schedules, set temperature parameters and manage when your lights come on and when they go off, you can have them turn on automatically when your Piper nv sensor senses it is dark. You can also see additional data on the Vitals tab. There you can see what the temperature is inside and out, if you see a snowflake, that means you should stay in and make some cocoa, at least that is what I think it means. You can also see the humidity, so you can know what kind of hair day you will have, and you can view data on ambient light, sound, and motion for the last 48 hours. And if you think reviewing your camera’s data is exciting, you are going to love the Live Video tab, here you can view live streaming video. So if you have been wondering what the cat does when you are away you can finally see it’s the same things he does when you are home. You can also view your cat’s activities from a fish-eye perspective and you can zoom in and out to make him look larger, or smaller. So while the Piper can’t do everything, the things it can do are pretty sweet.